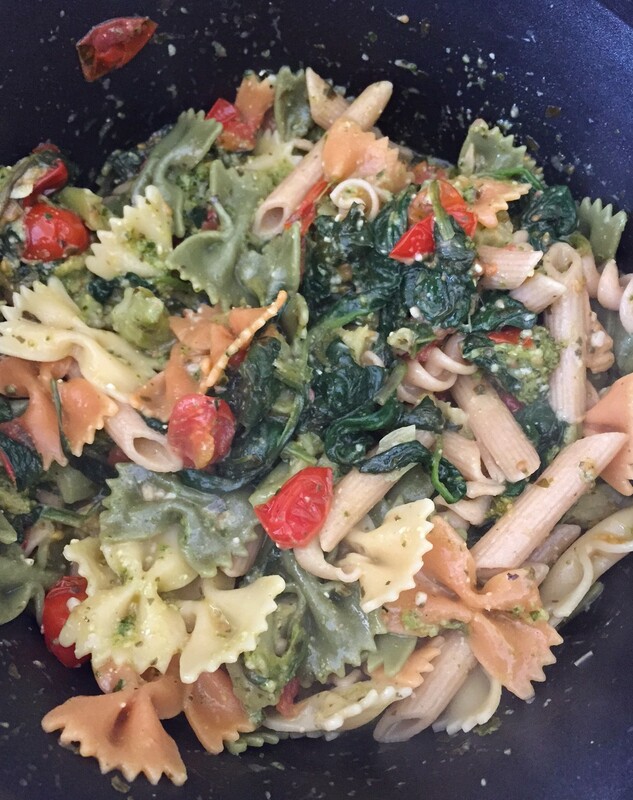 Due to the hectic schedule I’ve had lately, I’ve needed to make some super quick and easy meals so that I can continue to eat healthy while constantly being on the go. 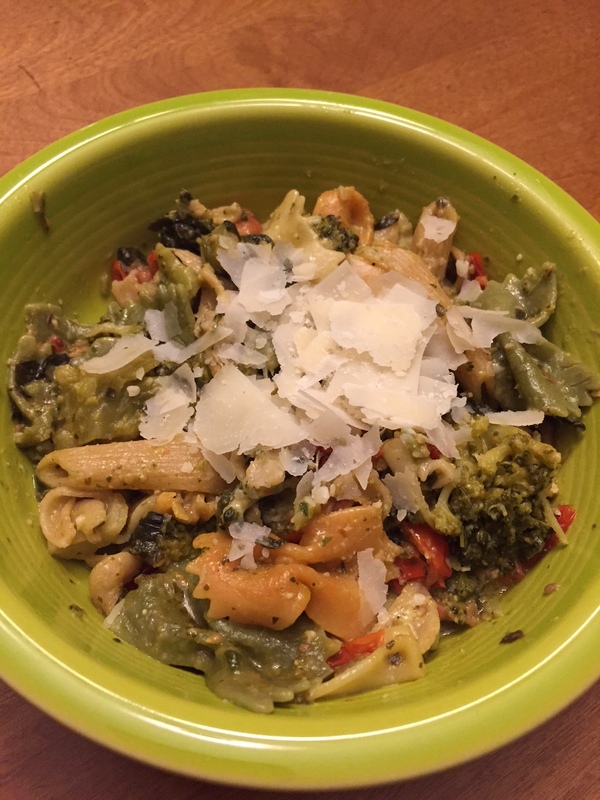 I found a recipe for pasta with veggies and pesto, and since I had all the ingredients, it was perfect! 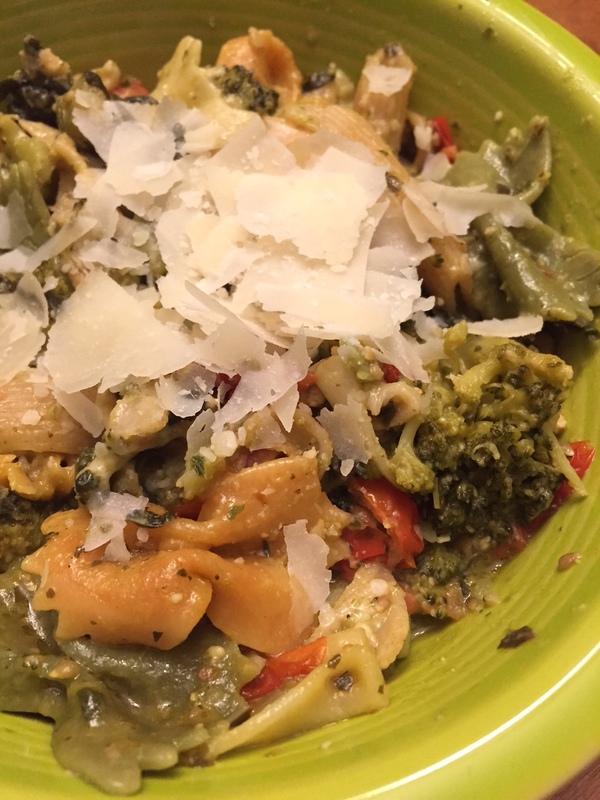 It was delicious and super filling as well; I sort of forgot how yummy pesto makes everything until I made this dish! 1.) Cook pasta, drain, and put back into the pot. While pasta is cooking, cut cherry tomatoes into halves. 2.) In a large skillet, over medium heat, add olive oil and garlic. 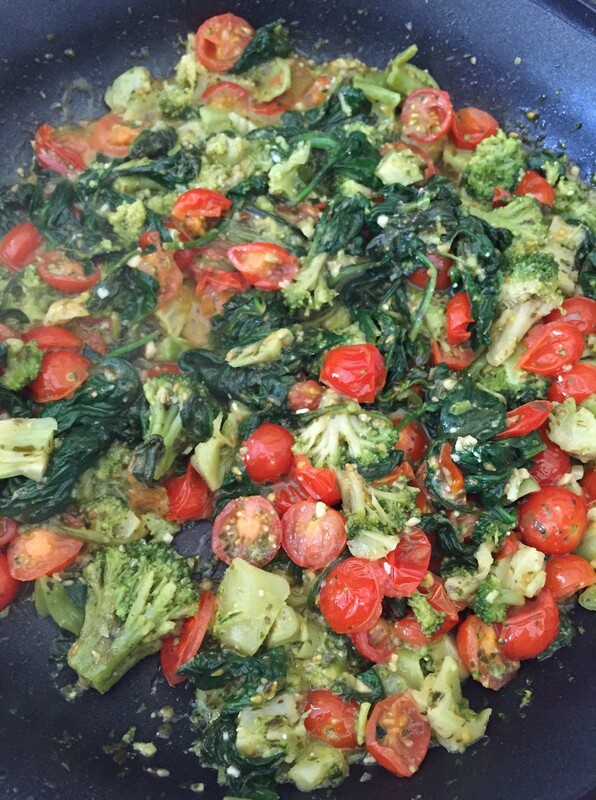 Saute for 30 seconds and then add spinach, a few handfuls at a time, and stir to wilt. 3.) 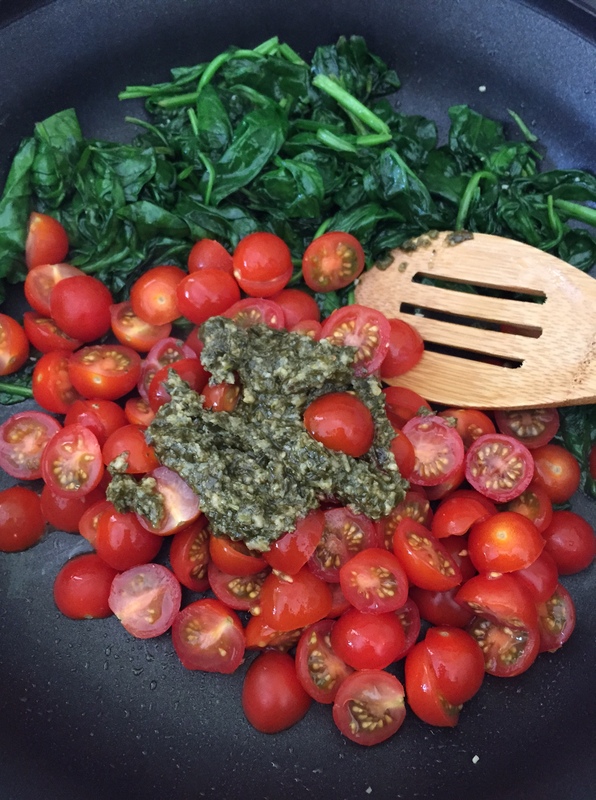 When all the spinach is wilted, move over to one side of the skillet and add the chopped tomatoes. Add half of the pesto, stir, and let cook for a few minutes. Then add broccoli and stir again. Let cook for a few minutes to let the flavors develop. 4.) 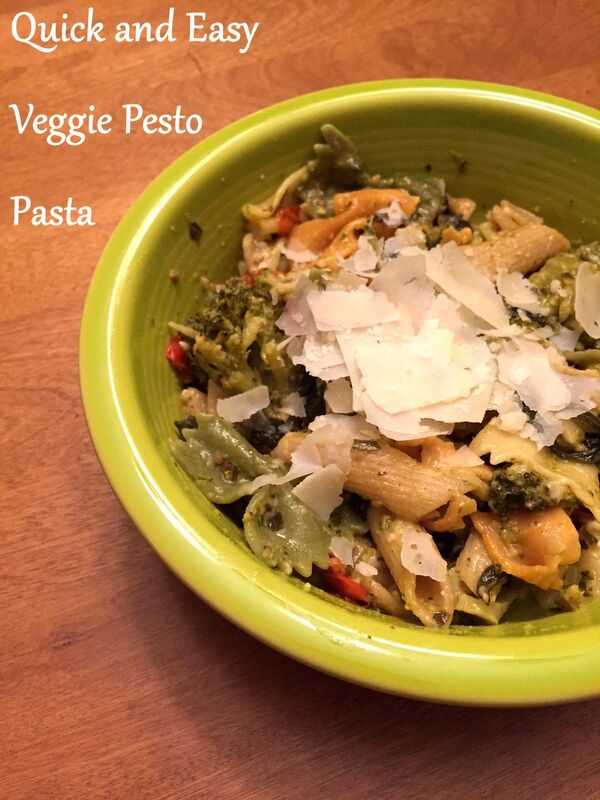 Add the pesto veggies to the pot with the pasta. 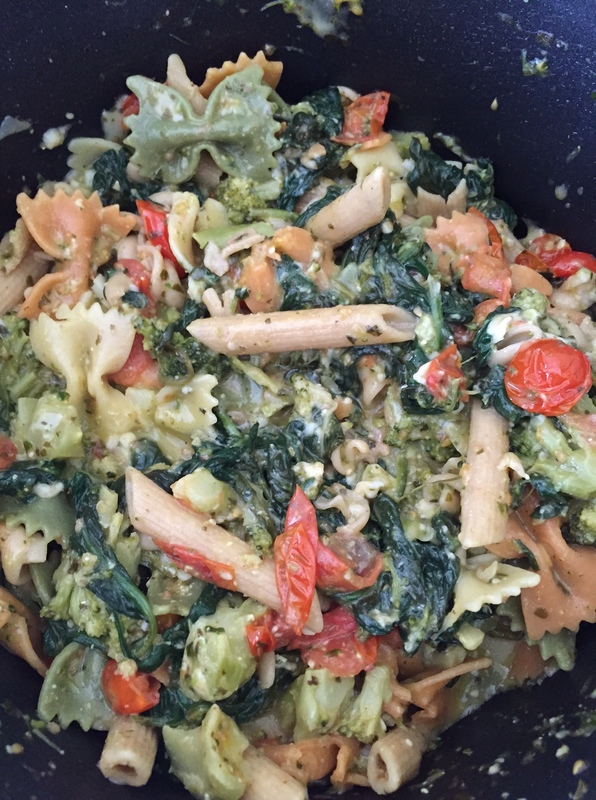 Add cheese and remaining pesto and stir everything together. Serve with a little shredded parmesan on top!